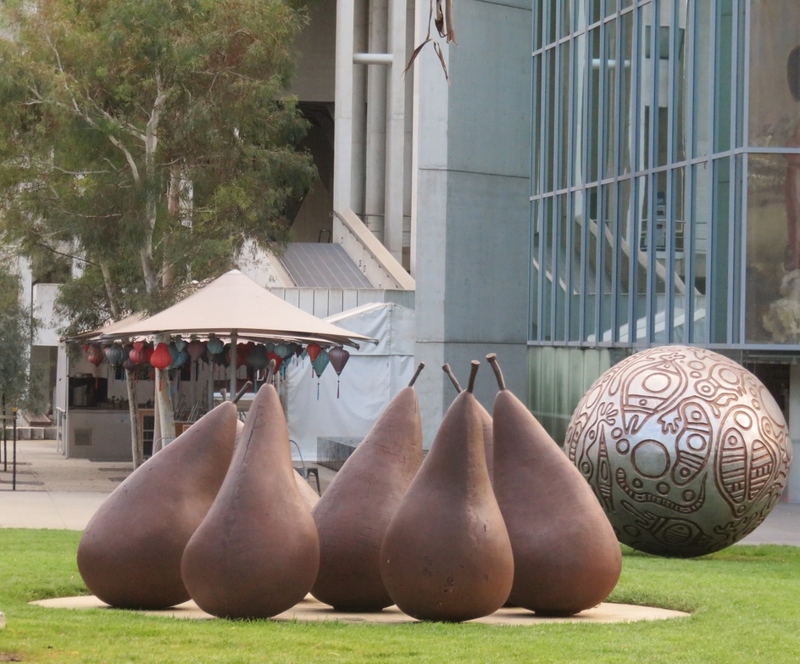 Yes, the pears are right in the front of the gallery, I’m sure that is because they are so striking. The rusty looking angel takes a while to grow on you! 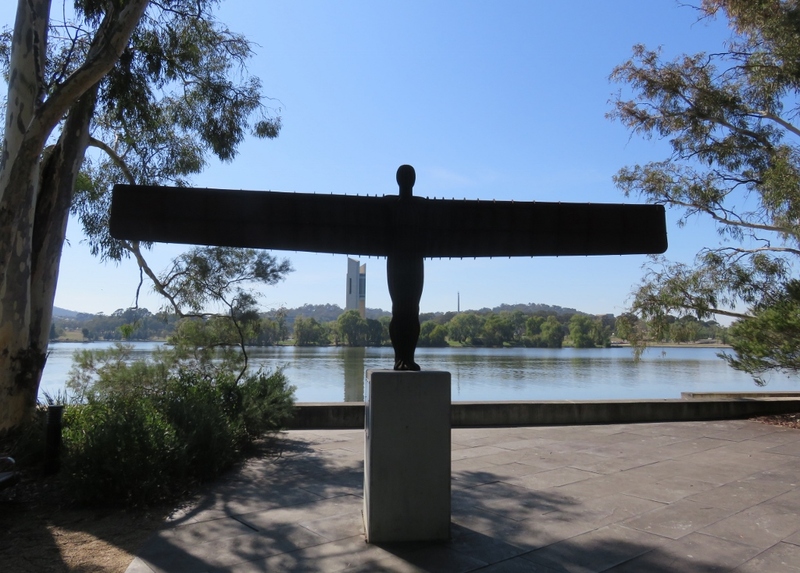 I must admit I did a double take on seeing the Angel of the North, having visited the original in Newcastle. 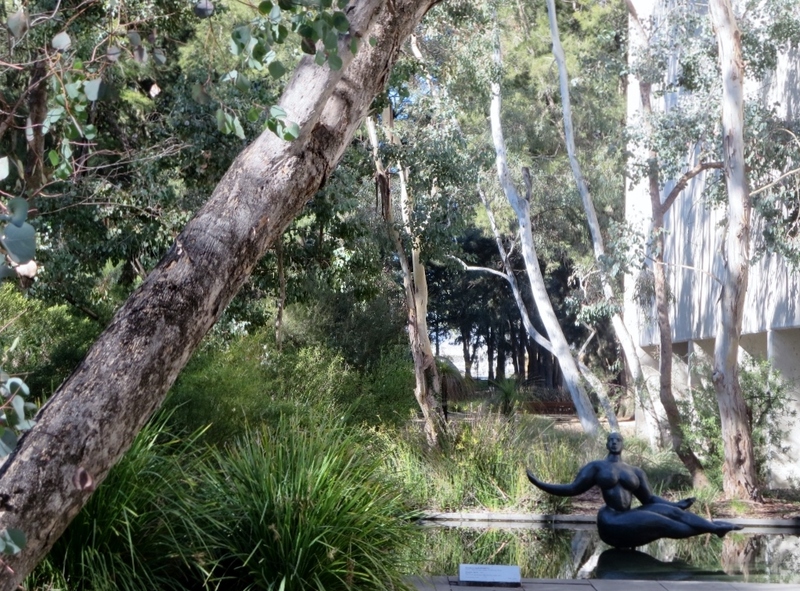 The gardens around the Australian Angel look beautiful. Yes, we saw a glimpse of the original Angel of the North on the BBC series Vera. She seems to fit both landscapes quite well. Yes, the pears are really a feature, and so smooth and striking, definitely one of my favourites. I’ve heard that the original Angel of the North is huge….have you seen it? Glad you enjoyed the gallery gardens. Oh, I love them all! Some sculptures are too abstract for my taste but these are wonderful ~ and the setting is perfect. I agree about abstract sculptures! I’m glad you like these ones in the gardens, they seem to fit well. You had me at the giant pears (I want some for my own garden). yes, they are eye-catching, no wonder the pears are at the front of the gallery! 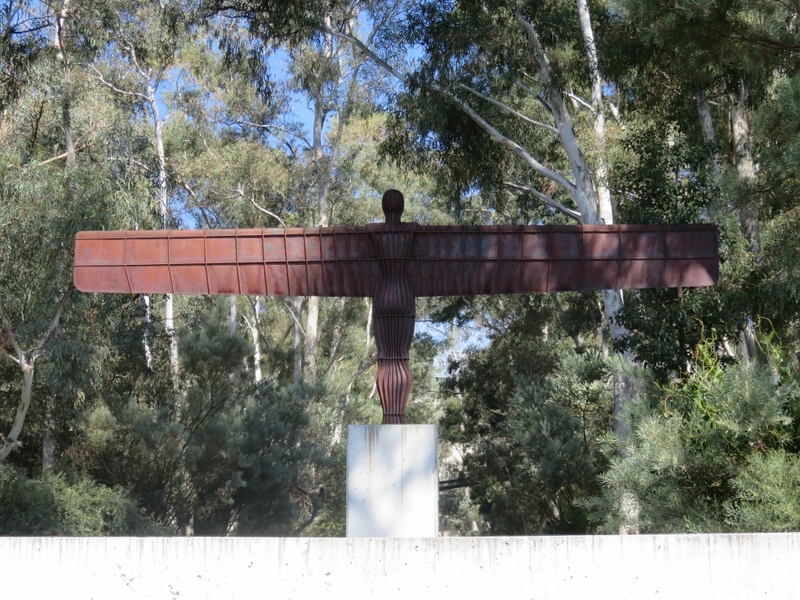 Thanks Sarah….yes I think this sculpture should have a sign saying Australian Angel of the North….. Very confusing!….I don’t think this one is as big as the one in the North of England. I’ll look up your post with an Antony Gormley sculpture. 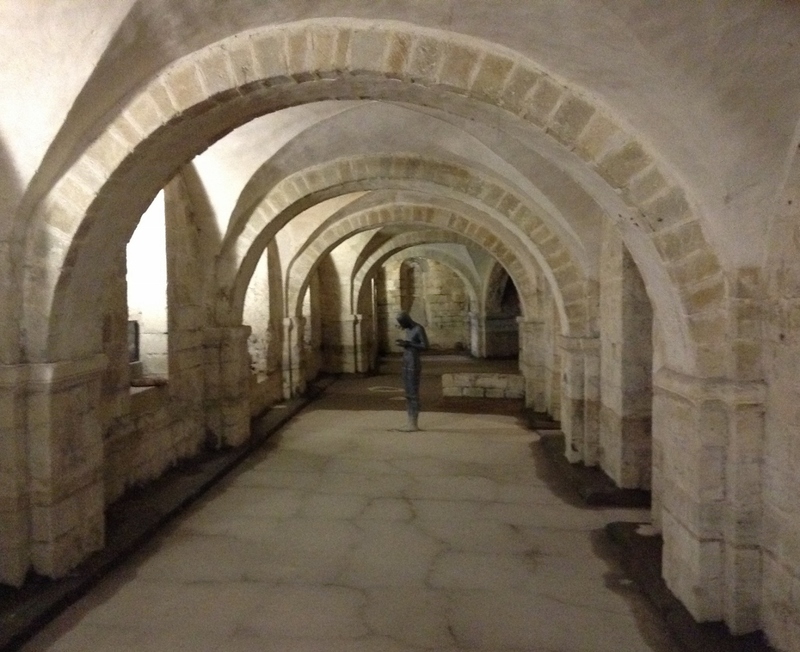 Oh I’d like to see a pic of the Iron men…..I agree that some of his sculptures are a bit eerie. 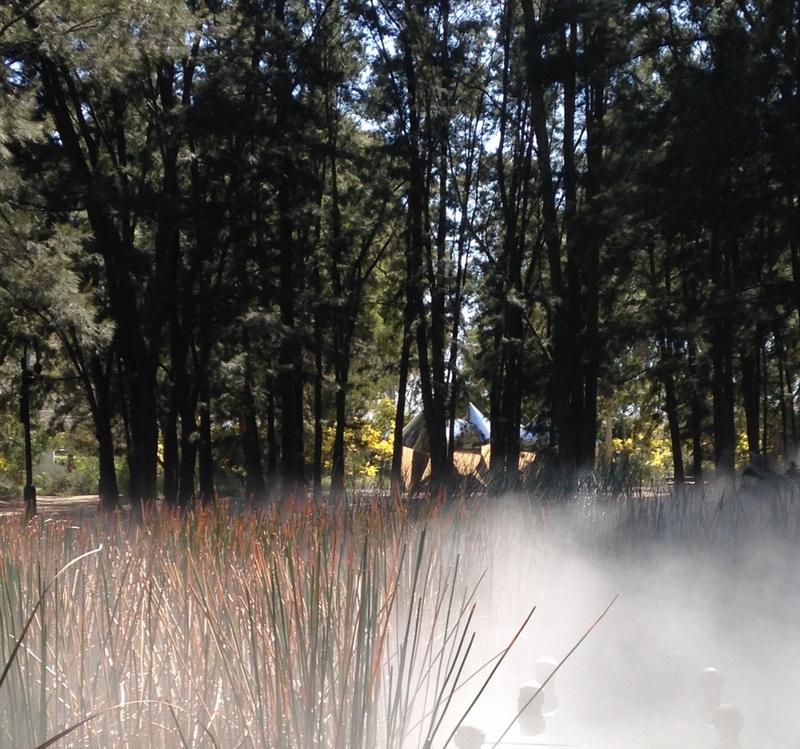 Glad you liked the floating figure (one of my favourites) and the fog garden. 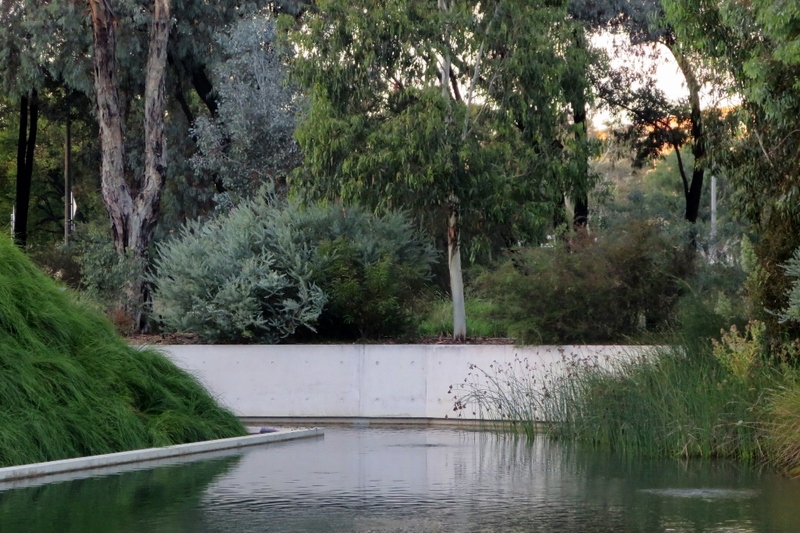 I loved these gardens and sculptures, in fact I thought Canberra had some of the best gardens and public (free) places to visit in all of Australia. I could live there, but unfortunately Jack would find the winters far too cold. I enjoy revisiting them in your posts. 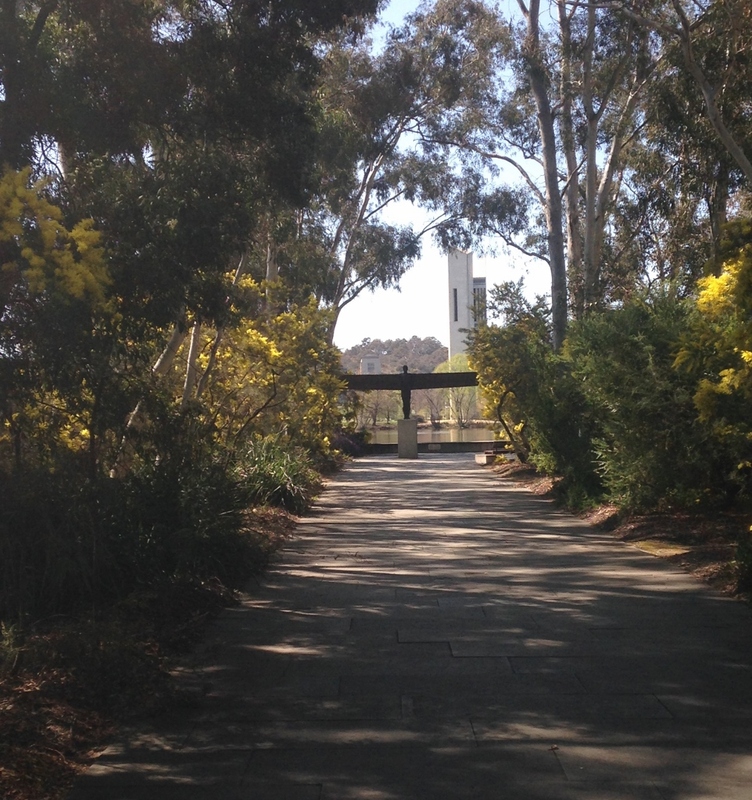 Glad you enjoyed Canberra, Pauline, it is lovely having so many gardens and parks….but I know what you mean about the winter…it is a long cold winter by Aussie standards!